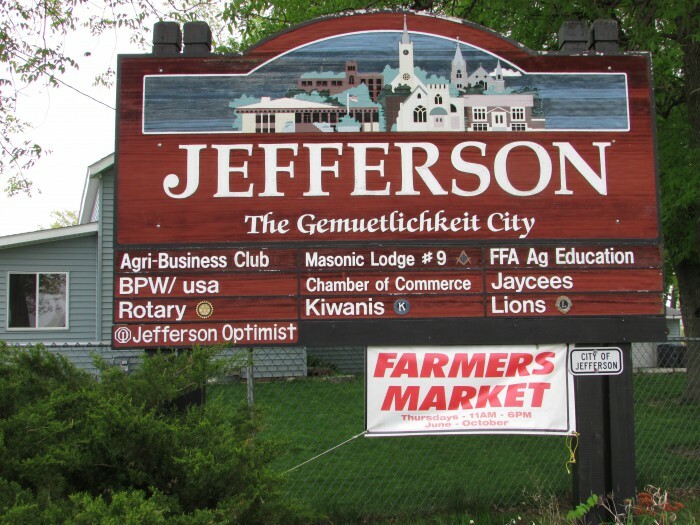 Gemüetlichkeit means “warmth, friendliness, belonging” in German, and that is exactly what we experienced visiting with the people of Jefferson this spring. It’s also known as the “Biggest Little Town You’ll Ever Love”. 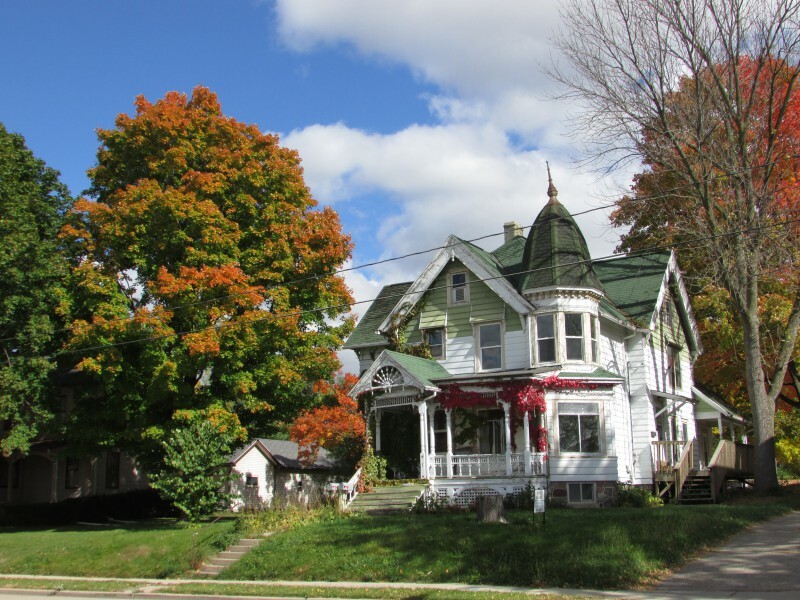 It’s the county seat of Jefferson County with a population of 7,973. 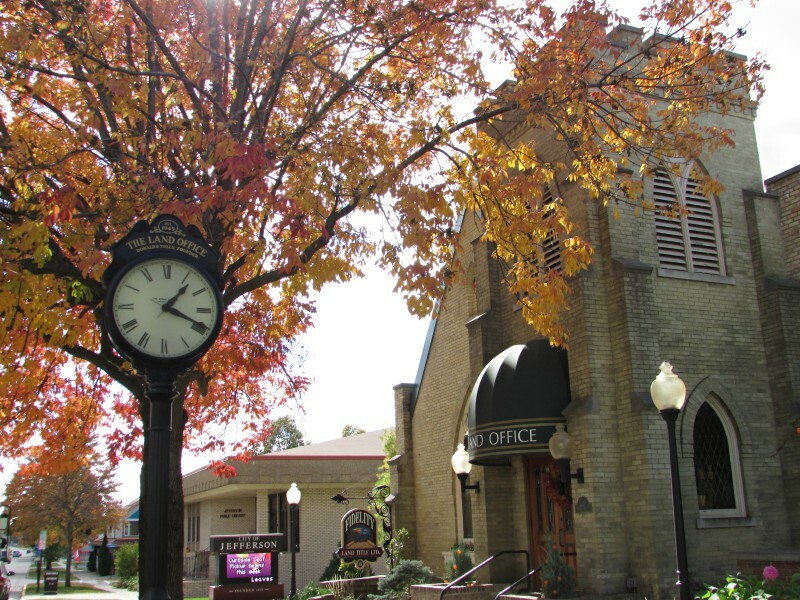 Jefferson was first settled in 1836, and was incorporated as a city in 1978. As per the motto, it was first settled by mainly German people. The city continues to celebrate its heritage with their Gemüetlichkeit Days festival every September. 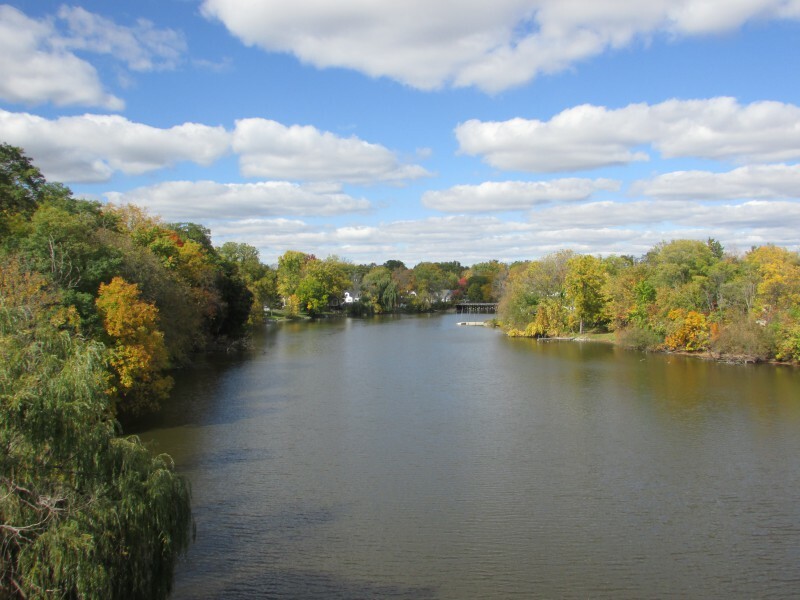 Jefferson is located on the confluence of the Rock and Crawfish Rivers, which made it a natural place to build a community to take advantage of all that water power. Take a look here of water going over the dam. People like fishing here as you can see. The dam used to power a sawmill. 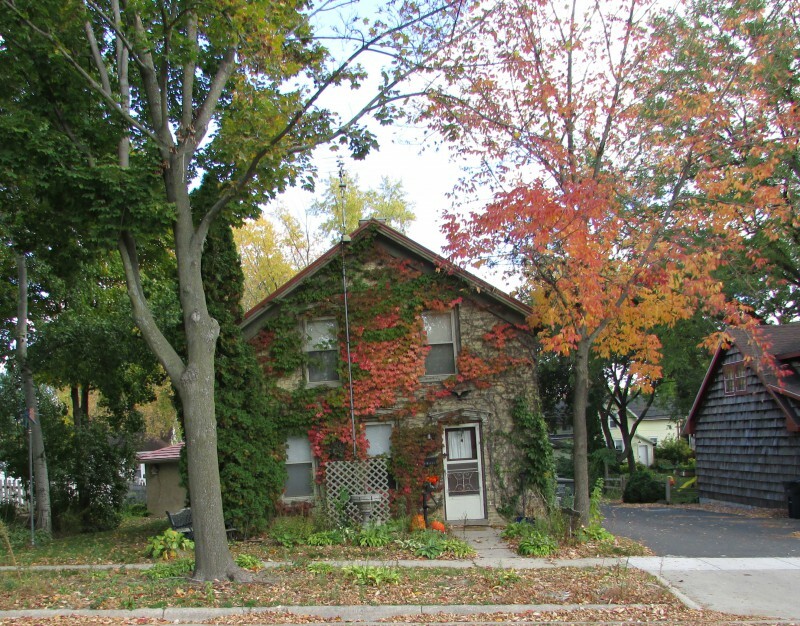 Also a Woolen Mill, which still stands and has been re-purposed to house a variety of shops. On this side of the river nearby is also The Heron’s Landing restaurant. 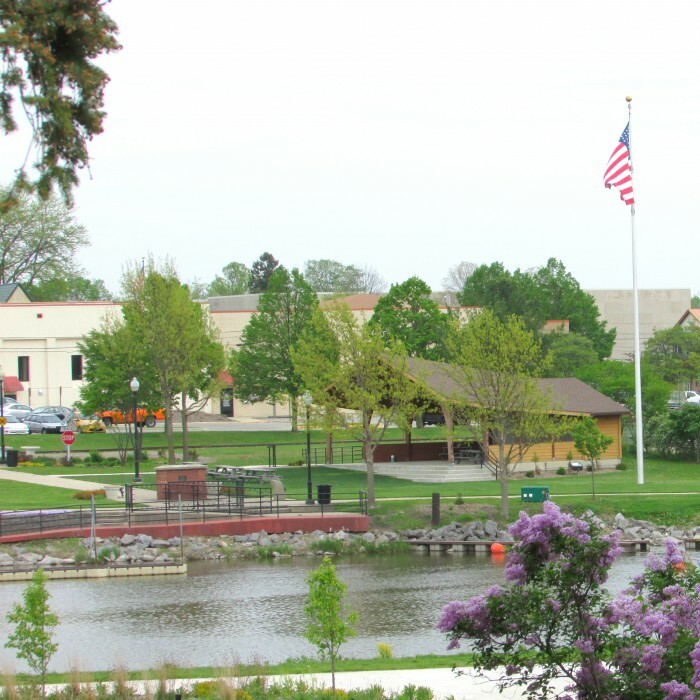 On the other side is the beautiful Rotary Park, complete with a bandshell for outdoor performances of live music. A beautiful pedestrian bridge was also built to cross easily on foot or bike to either side of the river. Great view! The views from the vehicle bridge were great too. On one side you see further down the river. 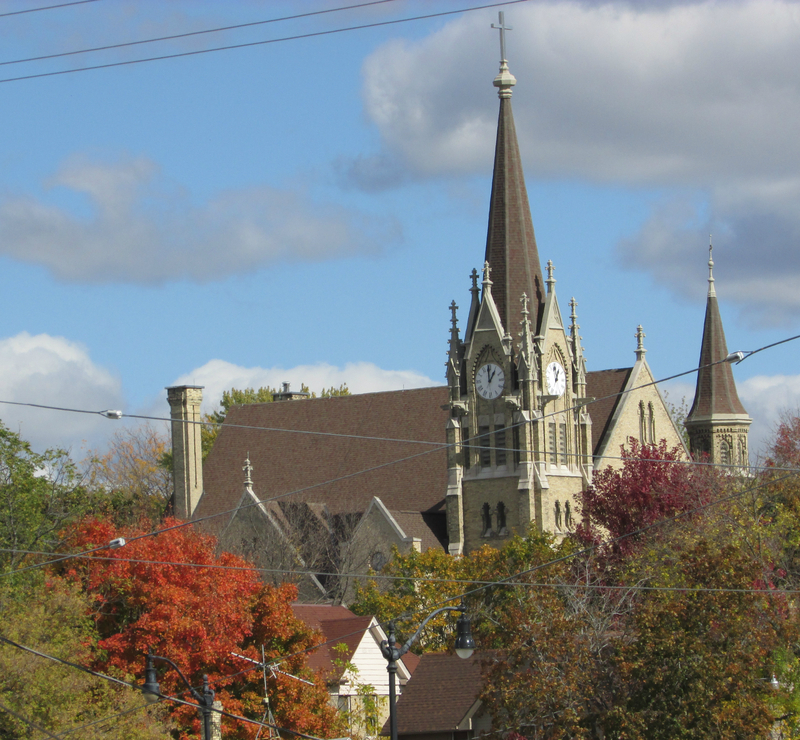 View of St. John the Baptist Catholic Church on this same side. And Rotary Park on the other side, where my friend’s wedding was held. A beautiful setting! 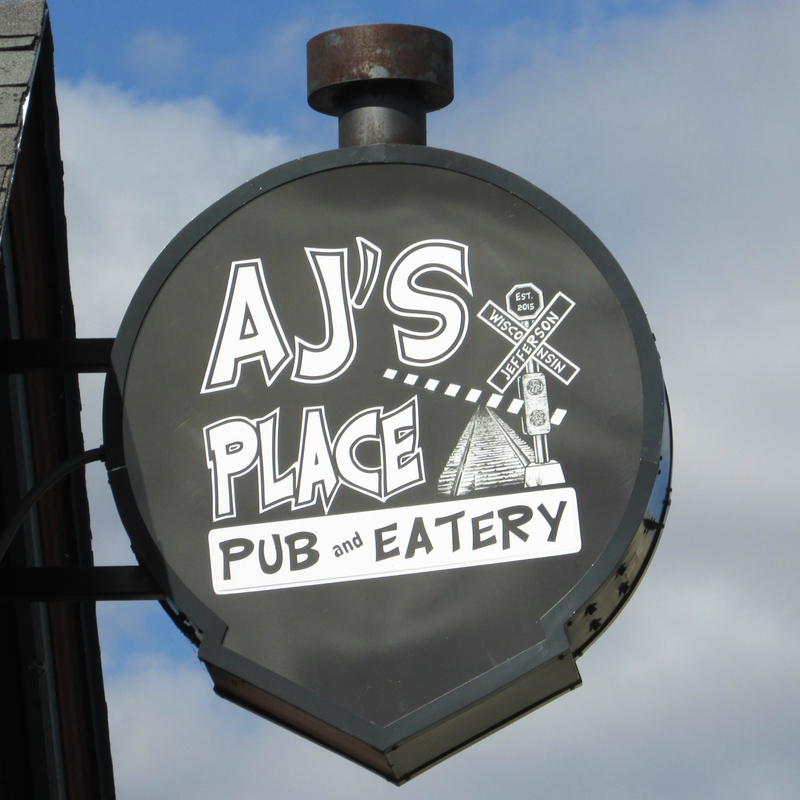 We crossed and saw the former train depot, now AJ’s Place, Pub and Eatery. It was not yet occupied on our May visit. Things change fast around here. 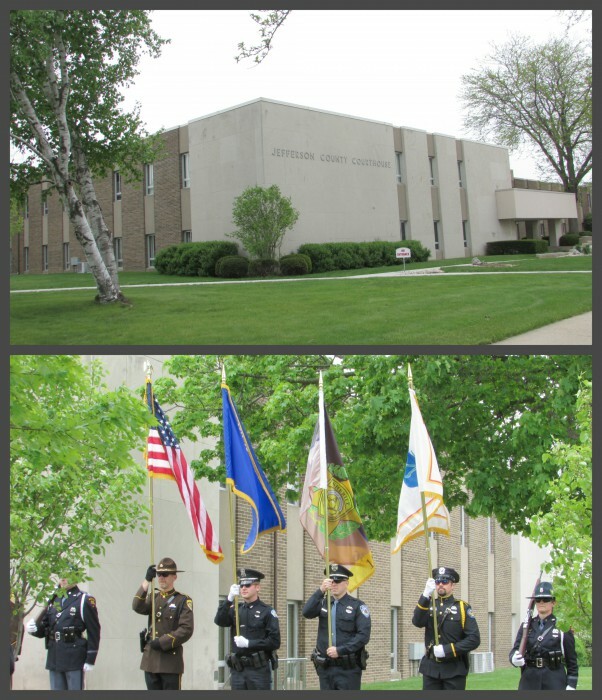 We could hear bagpipes not far from here and found out they were coming from the Jefferson County Courthouse grounds. It was National Police and they were honoring fallen comrades. What a moving ceremony. 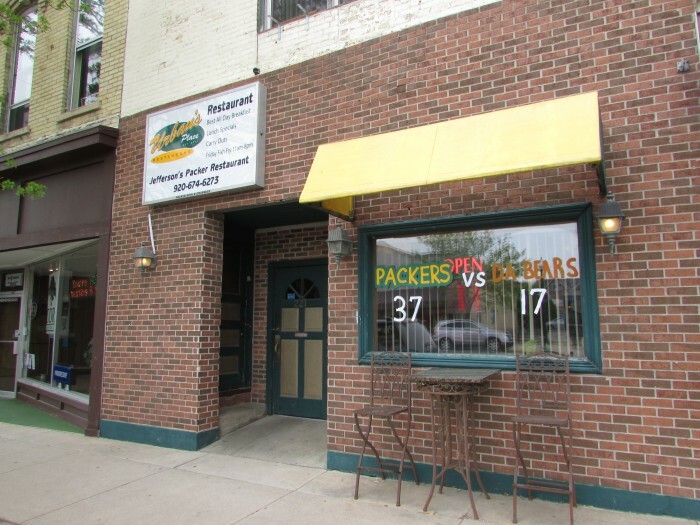 After that we had lunch at Urban’s Place, Jefferson’s Packer Place. 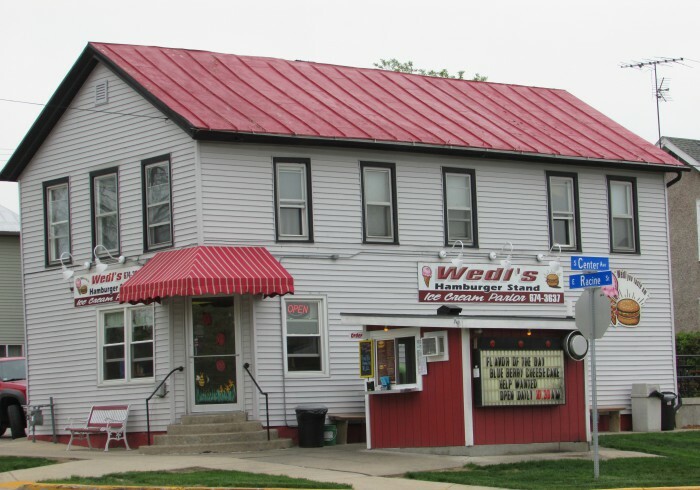 Wedl’s Hamburger Stand has been famous in Jefferson since 1919. We will stop there next time. And we did, on our October visit. Delicious hamburgers, the stand closes for the season after November 1st so we are glad we made it in time! 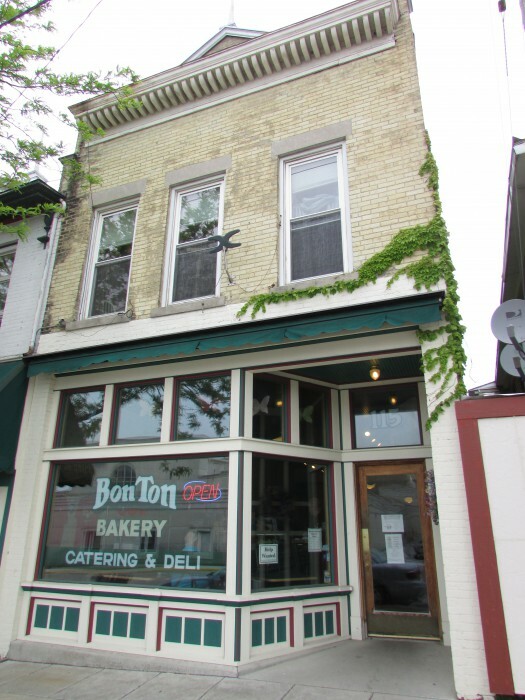 For a sweet treat, stop by the Bon Ton Bakery. A friend of mine is getting her wedding cake from here. Five generations serving great cakes and other treats for nearly 100 years! 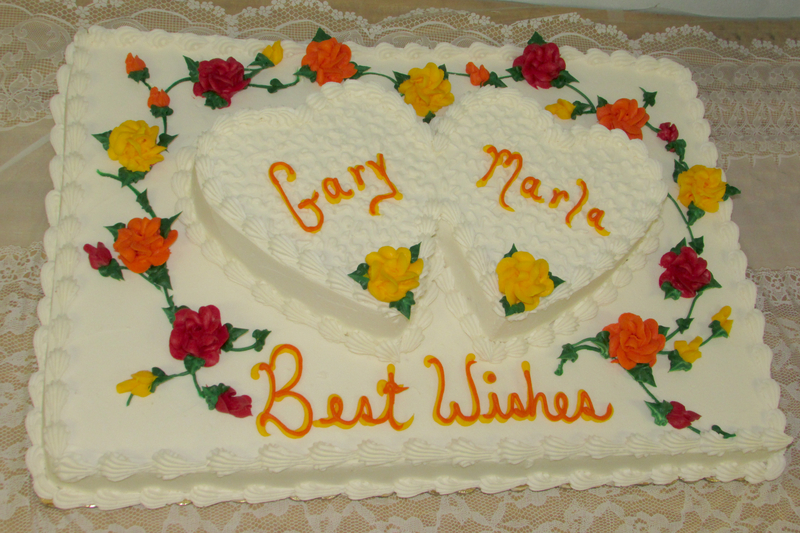 This is the cake, it was beautiful! See this great video review of the bakery. If you like honey, you can even pick that up at the Bon Ton. Doug and Yvette Jenks of Honey and Beeswax Products provide delicious honey to complement your bakery treats! They are from Lake Mills, another favorite community. Here they are also at Madison’s Northside Farmers Market in March 2016. 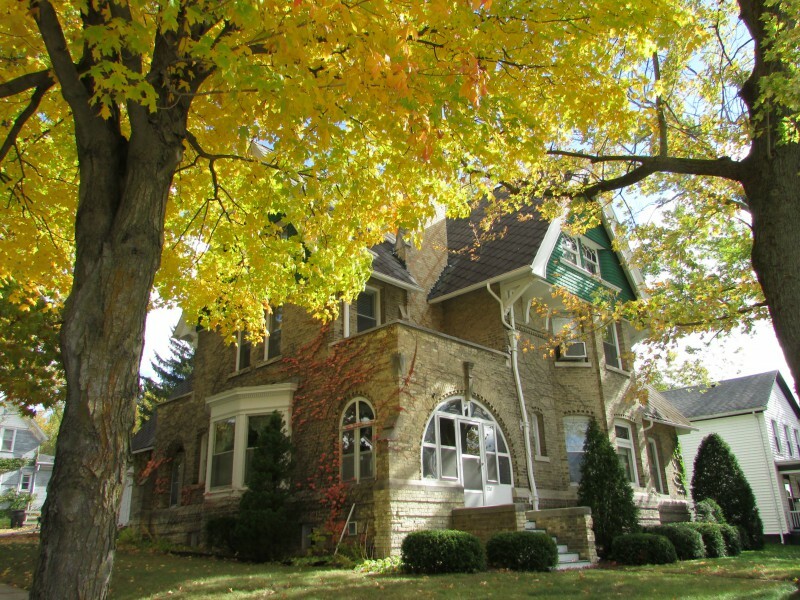 Jefferson has preserved many historic buildings in the downtown area. 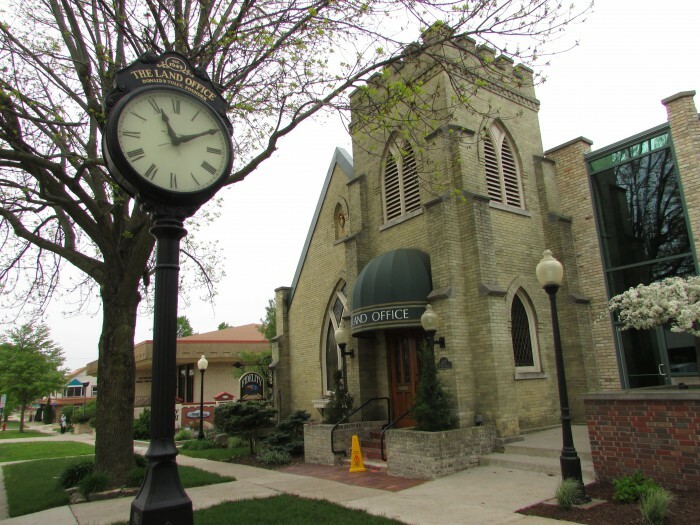 The Downtown Historic District and many other sites. 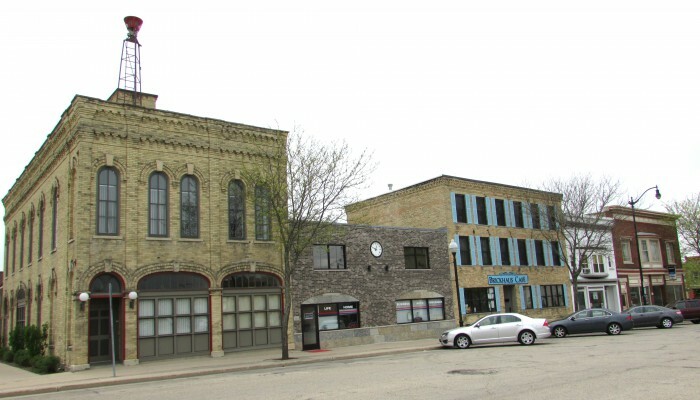 On the left is the old Fire Station on 143 East Milwaukee St. The siren on top still sounds at noon. 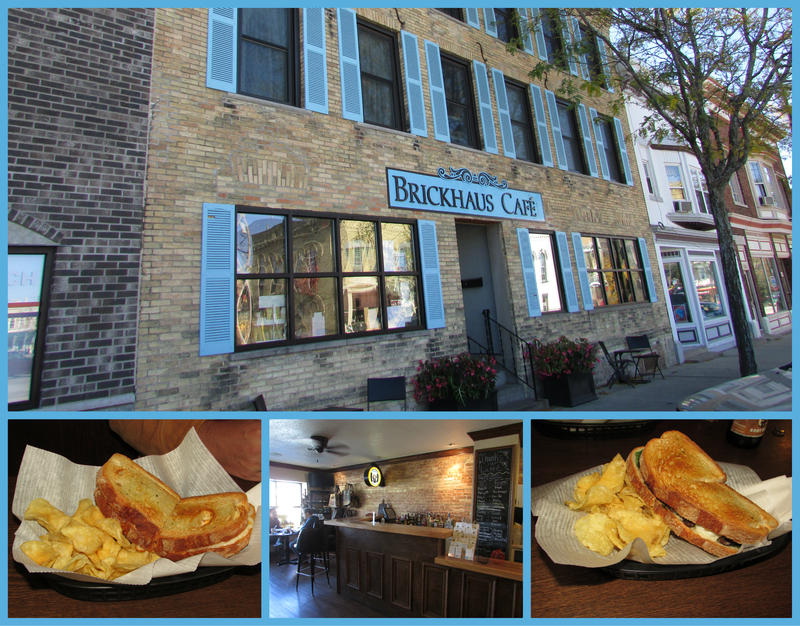 We had lunch here at the Brickhaus Café (blue trim) on Oct. 17. Relaxing atmosphere and great sandwiches, their specialty. Frank Lloyd Wright even designed a house for someone here, The Richard C. Smith House, built in 1950. 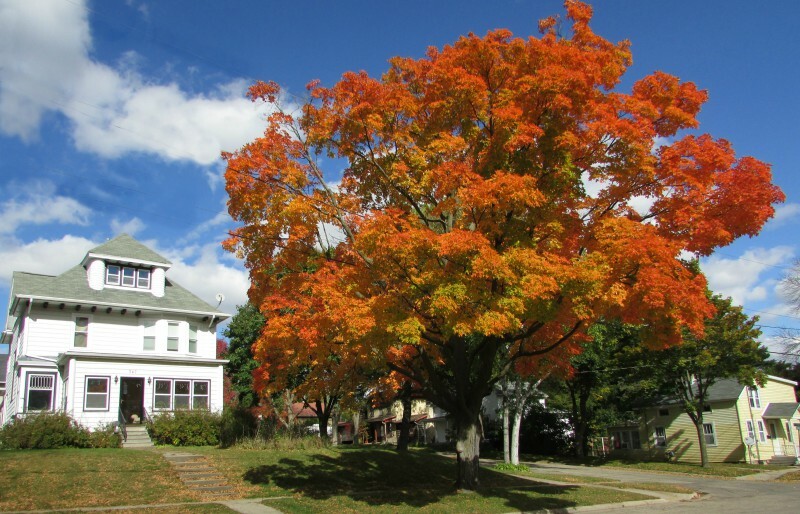 It was quite enjoyable walking around the neighborhood, many mature trees in their fall finest. 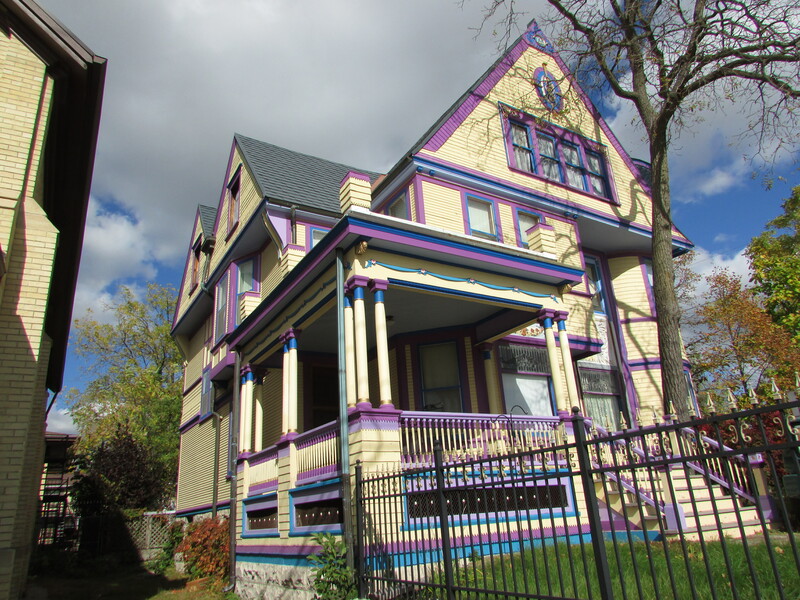 This house is amazing too, the gold trim was being painted on the house on our October visit. Its is across the street from Wedl’s. This mansion is on the other side of this house. From our spring visit. 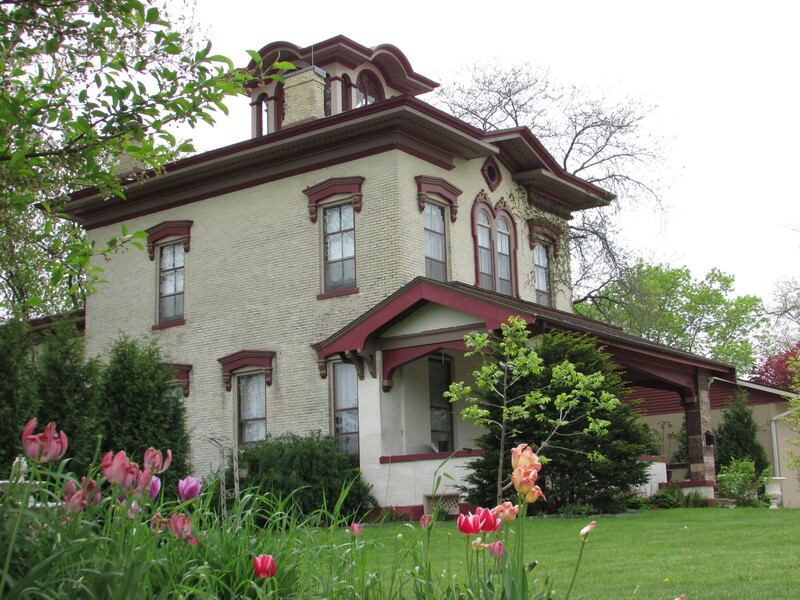 The towering Hager Bottle House and adjoining A.W. Haibenschield Blacksmith shop. We even saw a former vintage Mobile station, no longer occupied. 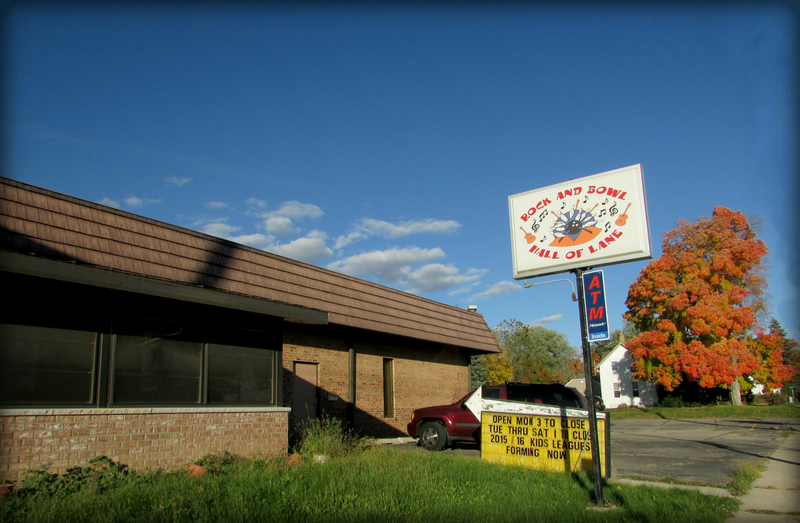 Enjoy bowling at the Rock and Bowl Hall of Lane. Also the high school overlooks the city. 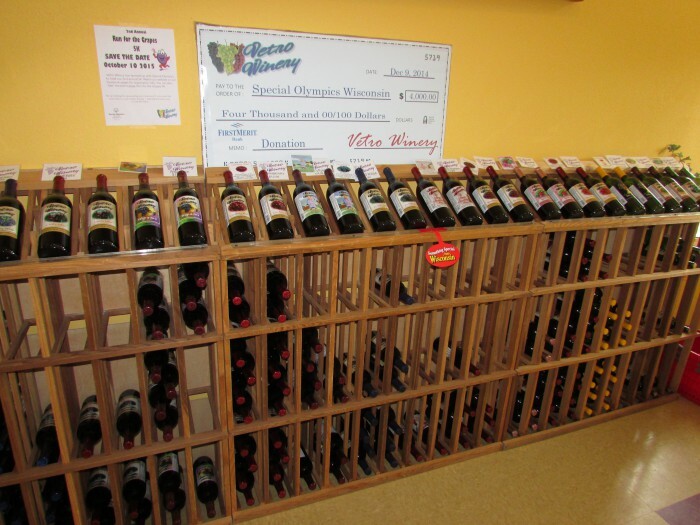 Don’t leave Jefferson without picking up a few bottles of wine from Vetro Winery. They let us taste some before buying. We brought two bottles home. Great wine and friendly service! They also are big supporters of Special Olympics due to a family member being a part of the program. We enjoyed our visit to Jefferson, beautiful in all seasons! Thanks for the information on the winery there. We love finding new wineries and I had no idea there was one in Jefferson. Looks like a great city! Very interesting pictures Laurie and A lot of places to visit. Thanks Cindy 🙂 Have a great day! Yes, I would like to visit Jefferson City next time I visit the U.S. How far is it from Madison? Looks like such an interesting town.